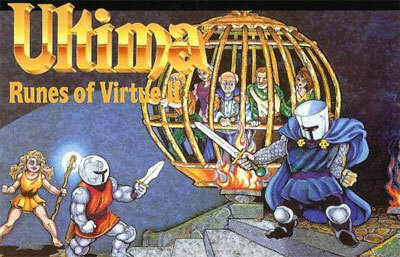 Runes Of Virtue 2 is the sequel to Runes Of Virtue for the Game Boy. Released on the Super NES as well as the Game Boy, Runes Of Virtue 2 maintains the action-RPG gameplay as the original. In this game, the Black Knight kidnaps Lord Tholden, simply out of boredom. Lord British sends you, the Avatar, out to recover Tholden and return peace to Brittania. As in the first Runes Of Virtue game you have the choice of selecting one of four characters. And again, there are three modes of difficulty.